Abenomics: are the three arrows on target? For 20 years, successive governments and central bankers have been united in fighting but one dragon in Japan — the ugly and economically dreaded deflation. This deadly foe laid waste to the happy years of economic boom seen in the 1960s and 1970s, stamped out the innovative spirit of the 1980s and early 1990s, continuing to barge brashly across landscapes of global growth in the 2000s to wither green shoots of opportunity at their nascence. And whilst unquenchable deflation raged across the green paddies of Japan, the country’s citizens were witness to the seemingly unstoppable economic rise of their looming red neighbor. The most recent attempt to put end to the broad stagnation that deflation has left in its wake was that of Japanese Prime Minister Shinzo Abe. “The country has been experiencing deflation and Prime Minister Shinzo Abe has been trying to break that cycle,” says Seishi Kitamura, President of Toho Bank. The Prime Minister’s economic campaign, dubbed Abenomics in its entirety, was launched shortly after he came to power in 2012. Its arsenal was comprised of three arrows: fiscal expansion, monetary easing and structural reforms. Each had a specific target: boosting domestic demand and GDP, raising inflation to 2%, and improving Japanese competitiveness in the global economy. The arrows were to soar forward on $274 billion in stimulus. Two of the arrows have since been drawn and released. They were scoring hits that produced a much needed, albeit short-term, economic jolt. Fiscal stimulus began in 2013 with $210 billion in recovery measures including funding for critical infrastructure projects, such as bridges, tunnels, and earthquake-resistant roads. The Bank of Japan unleashed the second arrow with an initial round of quantitative easing that same year, injecting new liquidity into the economy and in the process doubling its balance sheet. By 2014, inflation hiked to above 2%, but success was to be short lived. The economy fell into recession, and while it returned to growth above 1% in 2015 and 2016, consumer prices continued to fall. Throughout 2016, the recovery still sputtered, while Mr. Abe’s budget was setting near-record levels of deficit spending. In early 2017, inflation was stagnating below 1%. Much rests, then, on the last arrow in the Prime Minister’s quiver. Structural reforms must catalyze the private sector, and create the space it needs to take advantage of trade opportunities and lead Japan onto the path of higher sustainable growth. The arrow has been nocked since 2014 when Prime Minister Abe announced a broad reform package aimed at increasing competition, reforming labor markets and expanding trade partnerships. It included corporate tax cuts, agriculture liberalization and initiatives to overhaul the regulation of key sectors. Yet the release and flight of this all important third arrow has been fraught by crosswinds. It’s true that reform progress has been made since 2014. “I know that some people say that the progress of Abenomics is very slow and the goal has not been attained yet. But I think that there has already been a strong positive impact. One example is the capital gains tax. Comparing the pre-Abenomics and post-Abenomics period, the difference is about ten times or more,” comments Masakatsu Saito, President and CEO of kabu.com, an online securities company that offers cutting-edge services through the use of in-house systems and partnerships with MUFG Group companies. In order to promote a pro-business climate and attract more foreign players to invest in Japan, corporate taxes were cut from 32.11% to 29.97% in the 2016, and plans were announced for a further trim in the coming years. Yet, though Japan is one of the most developed countries in the world, the country still ranked only 32nd overall among the 190 economies covered by the World Bank 2016 Doing Business. “The three arrows of Abenomics are fine in the short term. However, if other measures aren’t introduced, those three arrows won’t be enough to drive economic growth. When Abenomics was first introduced and led to the depreciation of the Yen, the market and stock prices increased but this was a short-term effect that has faded,” adds Suguru Miyake, President of Nihon M&A. Mr. Miyake says that changes must go much deeper. His company, for example, has been challenged with overcoming the Japanese distaste for mergers that has hindered the global expansion of the country’s smaller companies. “In Japan, selling a company is perceived as an embarrassment. One of our strategic strengths is that we have actually developed a methodology in order to find these companies that are willing to consider selling. Now is the right time for Japanese companies to go overseas, so we are currently considering joining these small and medium companies in their expansion around Asia,” he explains. 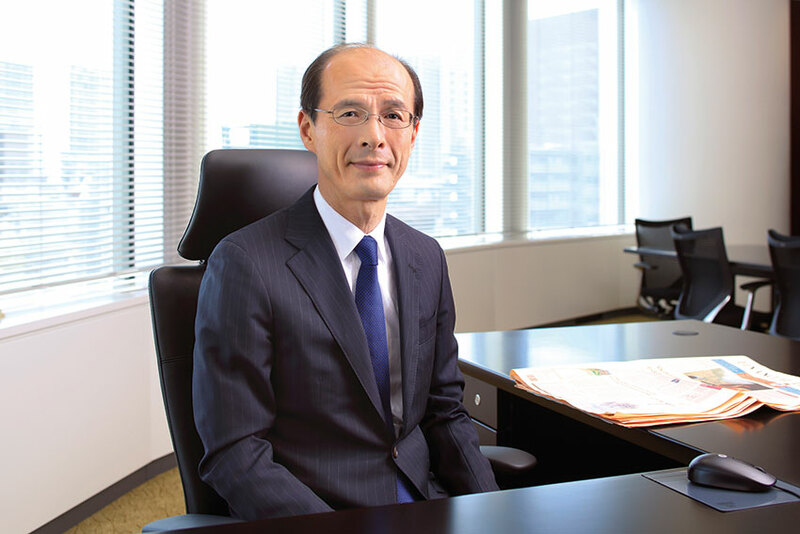 The aversion to mergers has hindered consolidation in the banking industry as well, says Mitsuyoshi Okano, President of Suruga Bank. “While it is true that consolidation between regional Japanese banks has been moving forward, when you look at the actual consolidation, often the two banks have only created a parent holding company. This is said to be consolidation, but to be honest, it is not a merger at all. This kind of grey, non-transparent consolidation by banking organizations is the actual problem within the industry,” he states. Wage increases have been actively encouraged by the government as a remedy to low consumer spending, seen as a major stumbling block to economic recovery. Some improvement has been felt. Pressure from the government on Japanese corporate leaders in 2015 led to a rise in wages, which have fallen 9% in real terms since 1997, and unemployment is now at just over 3%. Still, this growth too is slowing. At the same time, the fall of the yen has driven up the price of imports and consumer prices along with it, which has had a dampening effect on spending. Roadblocks like these have been plentiful along the way of Abenomics, often forcing the government to reassess and regroup. Attempts to introduce reform in the agricultural sector, a pillar of its growth strategy for exports, have been curtailed by Donald Trump’s objection to the Trans-Pacific Partnership and met further resistance at home from Zen-Noh, the agricultural cooperative marketing and purchasing federation, among other agricultural interest groups. The Prime Minister planned to increase workforce diversity through increasing women’s participation in the labor market, raising the female employment rate from 68% to 73% by 2020. The move, though overdue, has required confronting atavisms that are still a feature of Japanese society, and a requirement placed on corporations to increase the appointment of women to management positions, originally set at a third of senior business positions by 2020, has since been scaled back to 15%. Yet it is these very deep changes that are called for if the deflation dragon is to be finally slayed. “There are three main reforms that need to be employed with regards to the structural reform. The first is deregulation across various industries, the second is the development of new technologies, and the third is revolutionizing or reorganizing the domestic labor force. While de-regulation and technological development have been the major national focus, the most critical point where attention is being put on now is how to revitalize the labor force. This includes efforts to increase the percentage of female population involved in the labor force and also extending the work life of the aging population so they can work longer,” says Norihiro Takahashi, President of the Government Pension Investment Fund (GPIF). Mr. Takahashi says the success of GPIF, which is the world’s largest pension fund, in creating stable, long-term gains, depends upon the success of these structural reforms. Last year, for the first time, his team began an open dialogue with the equity companies in which GPIF has invested concerning the implementation of international standards of transparency and corporate governance. GPIF is now in the process of creating an environmental social goal index that will only include companies that follow sustainable development goals. The GPIF chief believes that deflation will be defeated, but admits that it is hard to say exactly when. “The challenge is to identify the turning point when the reforms begin to provide productivity gains to the economy. Understanding when this will happen is rather difficult,” he adds. This may further be complicated by that fact that it is becoming increasingly clear that the success of Prime Minister Abe’s third and final arrow, and consequently of his entire recovery program, appears to depend to a very high degree on the flexibility of the Japanese themselves.